Hotline To Heaven (HTH) is a global, non-denominational prayer ministry anchored by Dr. Dipo Kalejaiye. HTH provides the opportunity to pray with the brethren on a daily basis, regardless of denomination and geographical location. The platform continues to enjoy great outpouring of grace, evidenced by the endless flow of testimonies received. HTH currently has been visited over 200,000 times. Please click on the ‘On Air’ button or ‘Audio’ tab to listen. Hotline To Heaven is led by Dr. Oladipo Kalejaiye. 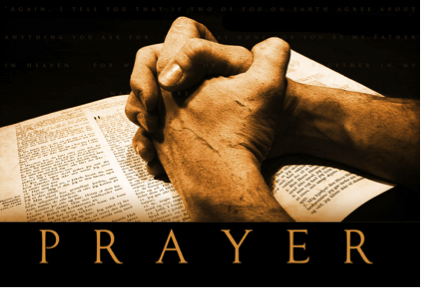 Through his pastoral leadership and dedication the prayer line is available seven days a week from 5:30am-6:15am (except Sundays) and from 7pm-7:45pm (except Thursdays) in USA Pacific Time, Mountain Time, Central Time, Eastern Time, Alaska Time, UK Time Zone and West Africa Time Zone. • All scriptures is given by the inspiration of God. • There shall be a bodily resurrection of the just and of the unjust. • In water baptism, and observance of the Lord’s supper. The United States government – the most powerful government in the world has a Counter-terrorist department where counter-terrorism measures are carefully planned and mapped out to combat the menace of global terror. The government also maintains a War Room where strategies of war are birthed, developed, and nurtured to maturity. It also runs a highly sophisticated Department of Energy (DOE) whose mission is connected to national security. Today her officials still oversee laboratories that were once responsible for creating weapons of mass destruction. Lastly, the government has a Situation Room where where they assess the current state of national security and determine what adjustments should be made accordingly. But what have all of these got to do with prayer? Hotline to Heaven prayer line guides you with scripture to effectively counter Satan’s daily terror attacks.